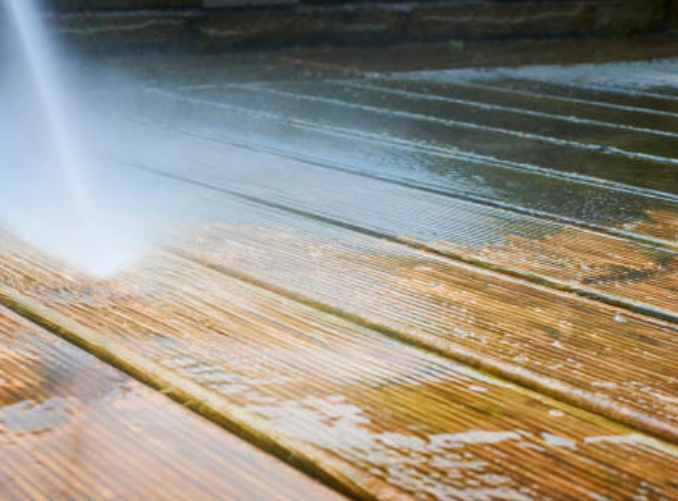 Karbella Roofing is proud to offer pressure washing as one of our many services. While we specialize in low pressure roof washing services, we will be glad to take care of any of your pressure washing needs. For the best pressure washing Lake County, Ohio has to offer, feel free to contact our team right away. Once you take a closer look at what it is that pressure washing can do for a surface, it is easy to understand why it is so popular. Specifically, soft washing has become an extremely popular option, as it brings many of the same benefits as high pressure washing without some of the downsides. So, why would you opt for soft washing your roof? Take a look at the points below. Avoid damage. This is the big concern when using high pressure washing. The power of the water jet, while capable of cleaning a surface, is also capable of doing severe damage. With soft washing, a low pressure eco-friendly chemical cleaning treatment, you can steer clear of those risks while still improving the look of your property dramatically. The benefit of disinfecting. With a powerful wash, the exterior of the surface may be cleaned effectively, but it won’t be disinfected. This is another reason to consider soft washing. By adding disinfecting power to the process, you will be thrilled with the results. Use less water. We should all be conscious of how we use our resources, and soft washing is a process that uses less water than high pressure washing. Don’t make the mistake of thinking that using less water means this option is less effective, however. This is still an excellent way to wash your roof, or your home. Cost effective. Another point which should be a big hit with the homeowner. In most cases, soft washing is going to be the more cost-effective solution to the task of cleaning a roof. Replacing a roof is expensive. Rather than waiting to pay attention to your roof until it is falling apart, offer it maintenance as the years go by and you are likely to get a much longer useful life from the structure and materials. In addition to the potential savings of putting off a new roof installation, you can also enjoy the look of a clean roof on a day to day basis. Given the modest cost of soft washing your roof, the benefits are impossible to ignore. 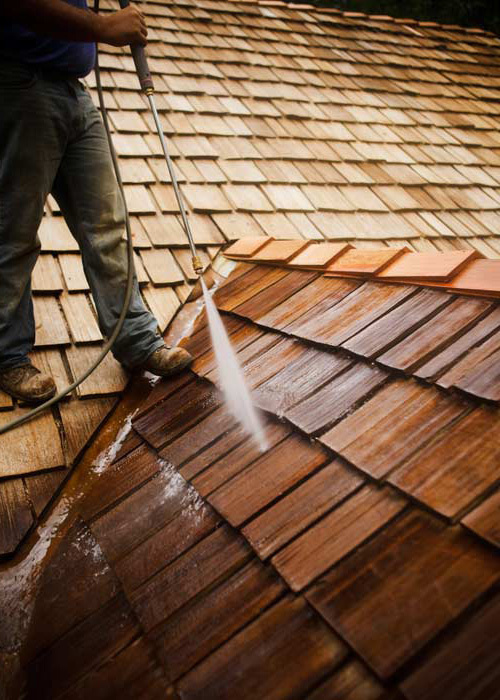 To learn more about our pressure washing services, please contact Karbella Roofing right away. We have been roofing Cleveland, Ohio homes for many clients and are proud to add pressure washing to our service list. Whether you need your roof soft washed, or you would like us to work on some other service, it all starts by getting in touch. We hope to hear from you today! Mentor, Painesville, Concord, Chardon, Willoughby, Willowick, Wickliffe, Euclid, Mayfield, Beachwood, and more. Just ask!